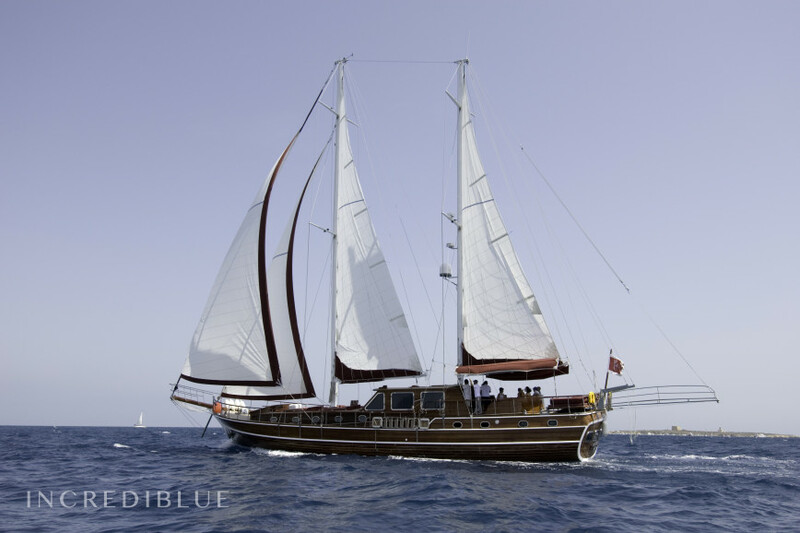 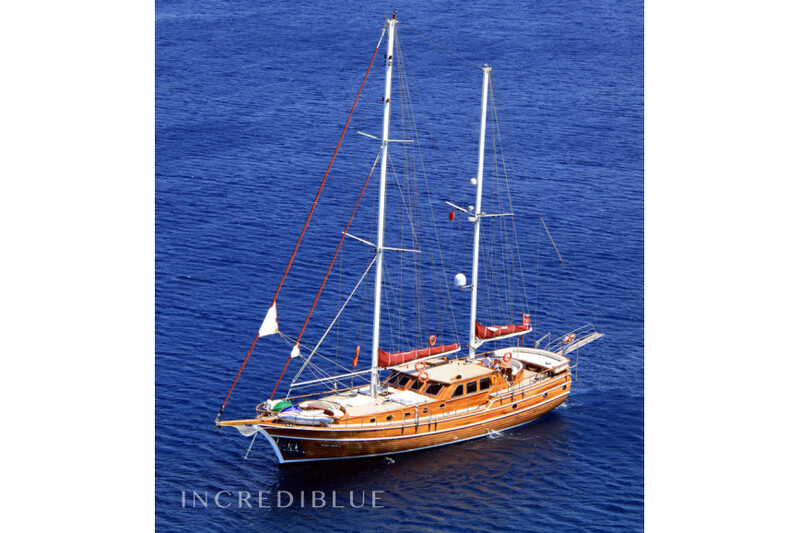 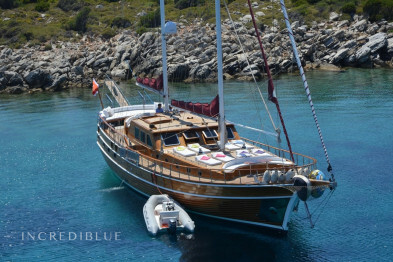 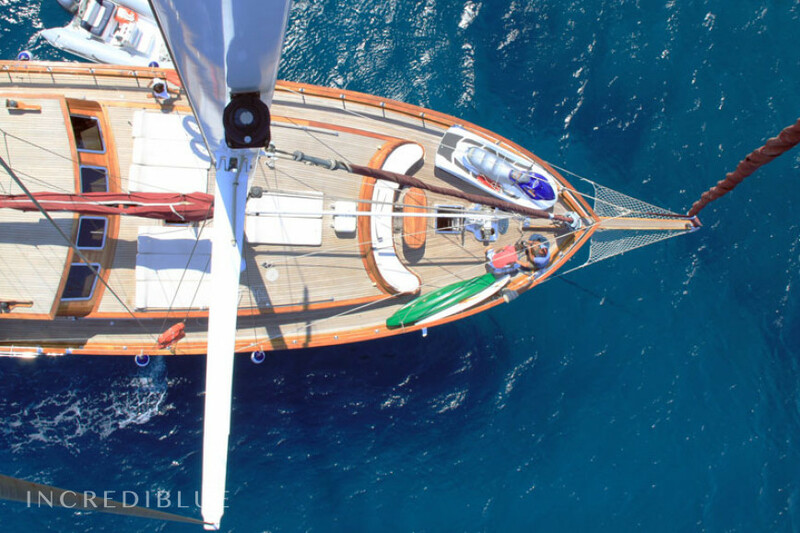 Designed by an experienced team of naval architects and built with love and care that only the best craftsmen bring to every detail, this luxurious gulet 24 meters perfectly combines the latest technology with glamor, comfort and classic style. 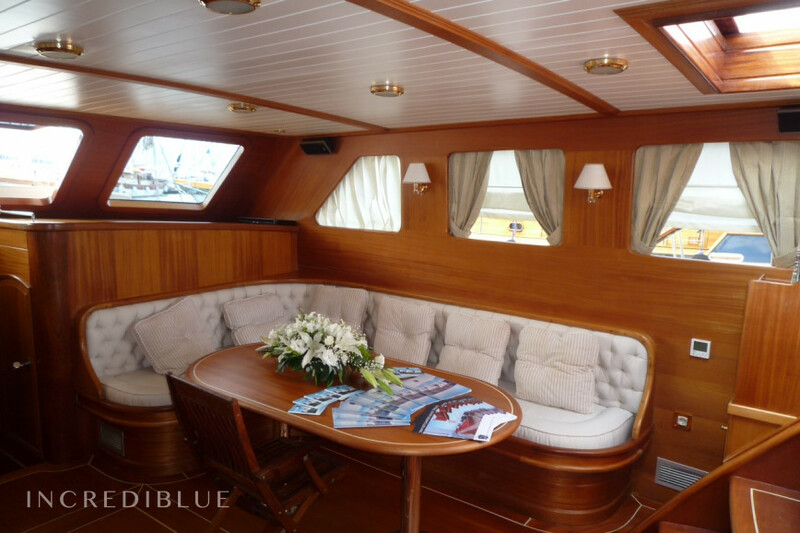 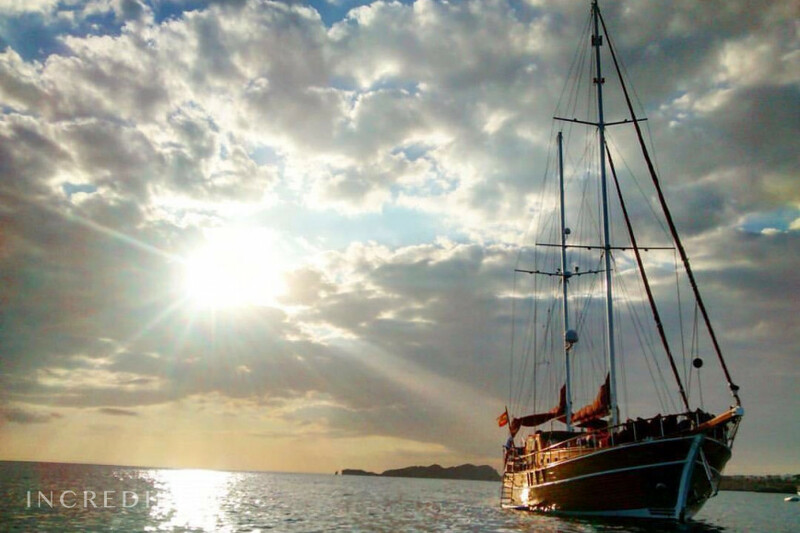 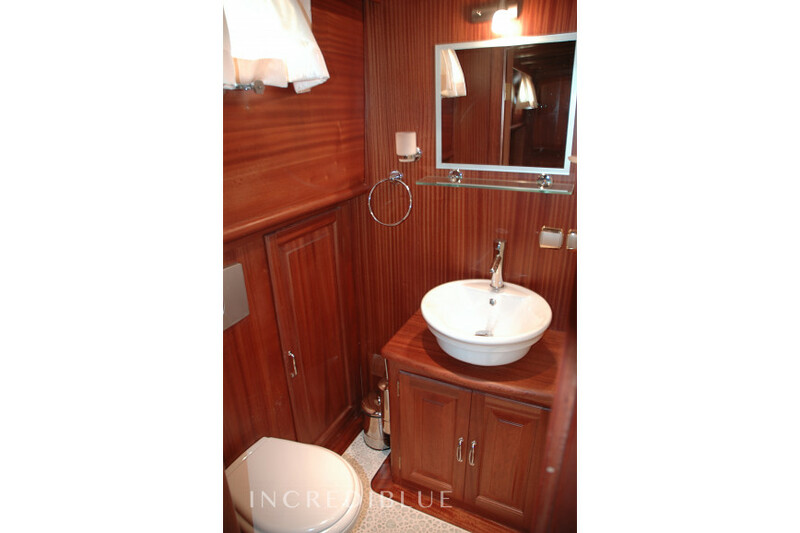 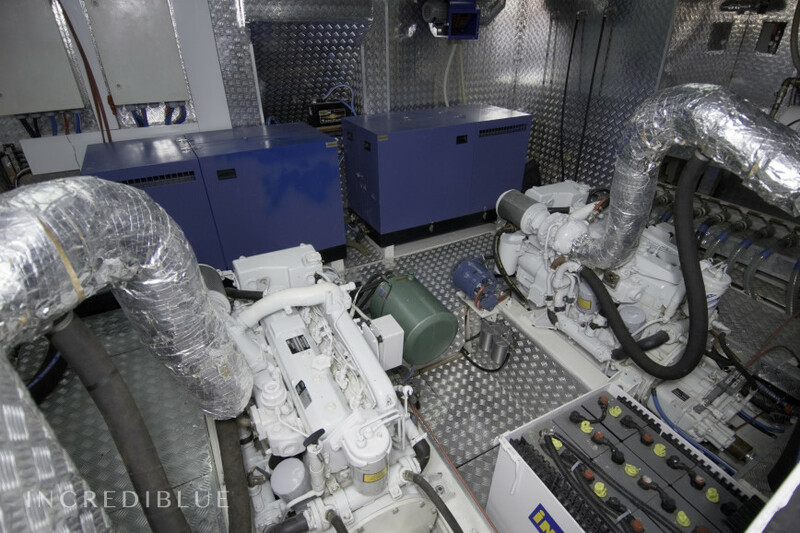 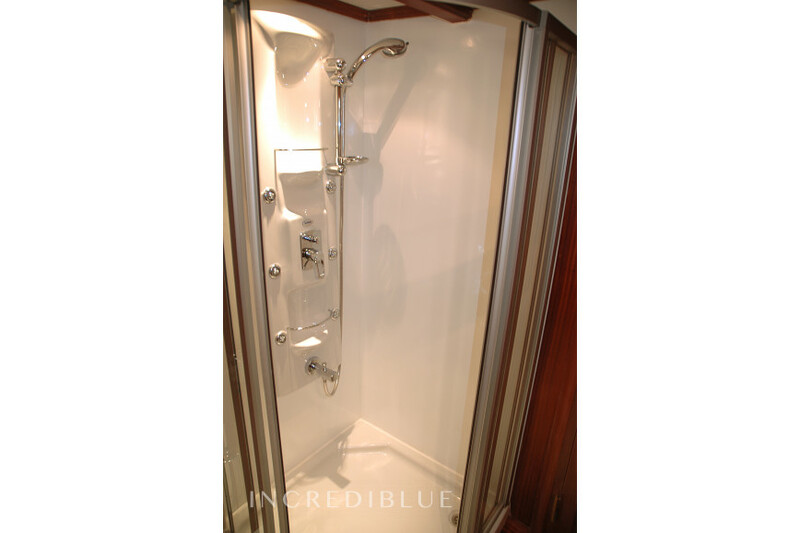 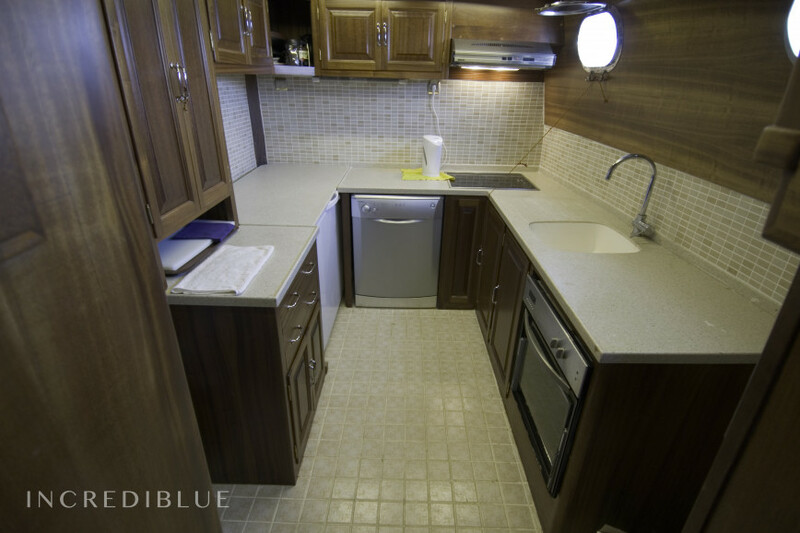 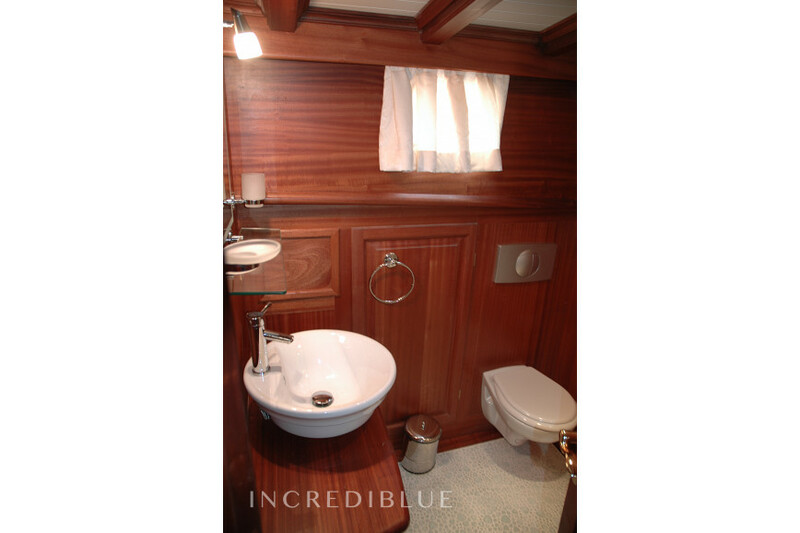 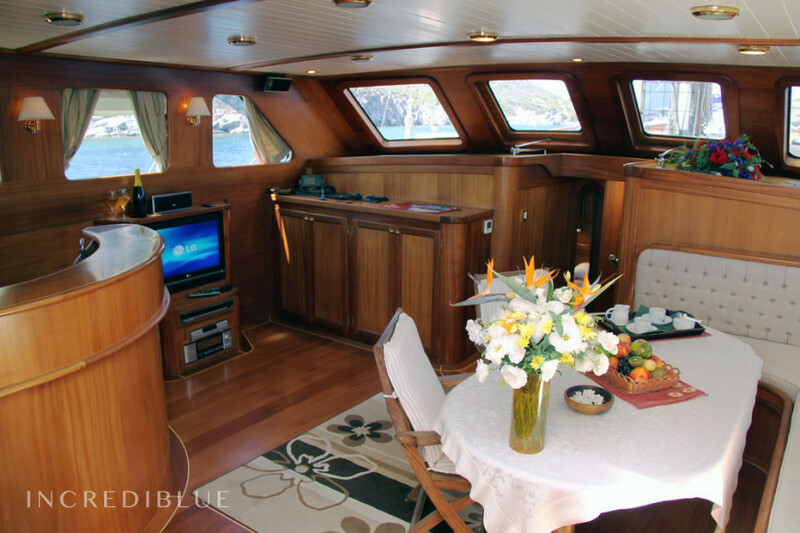 Innovation, luxury and excellence are the characteristics that best define this boat. 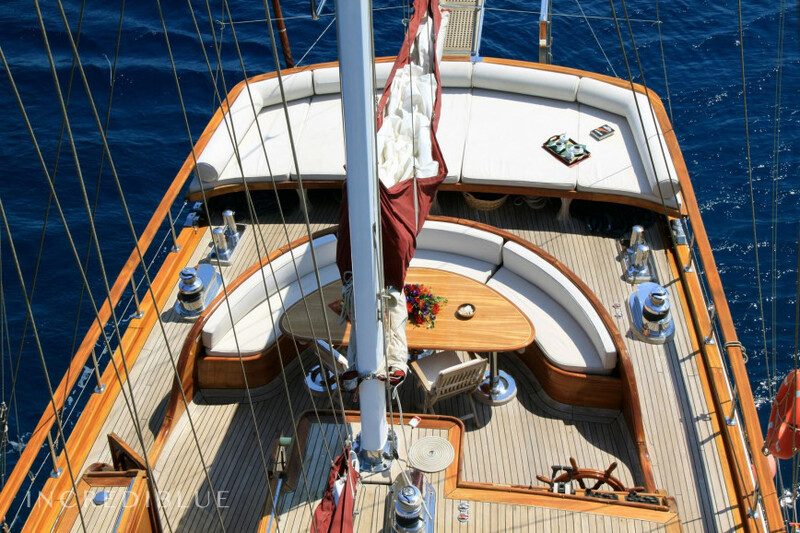 This schooner is a motor-sailboat classic ketch whose appearance, both exterior and interior is simply stunning. 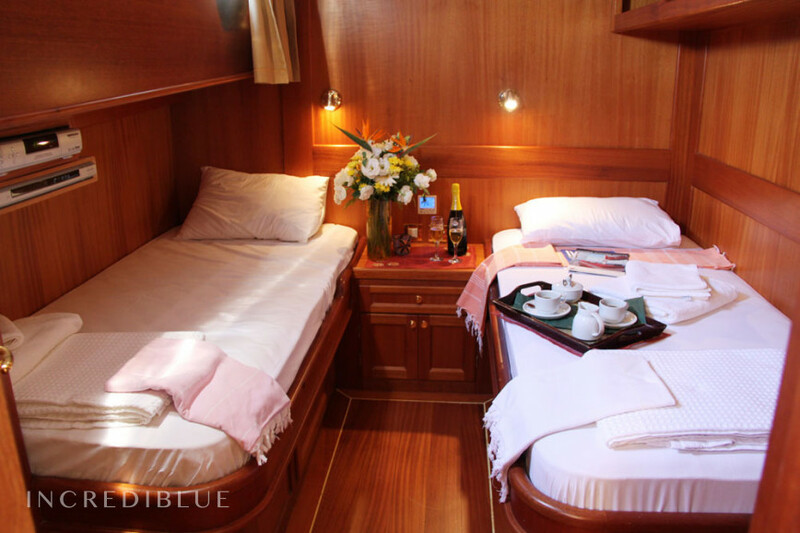 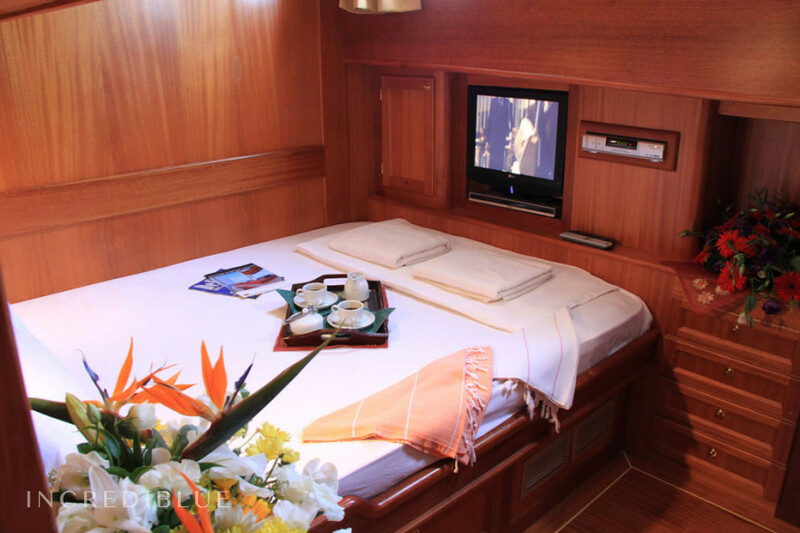 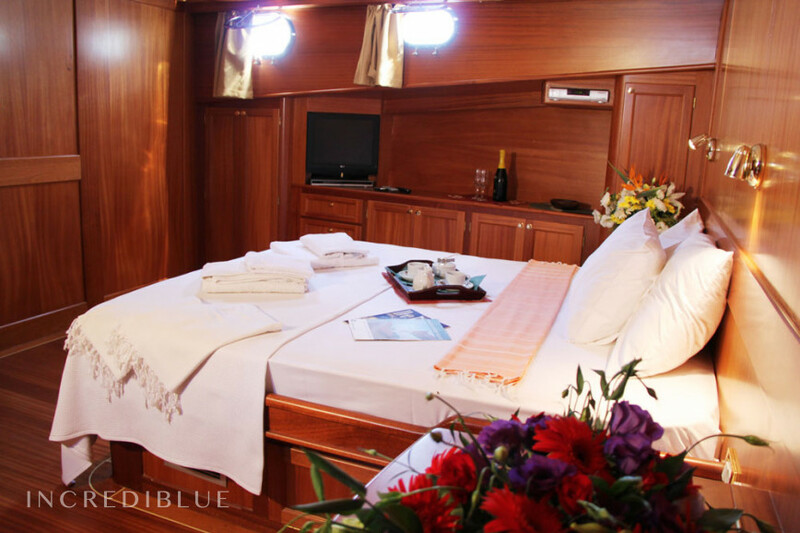 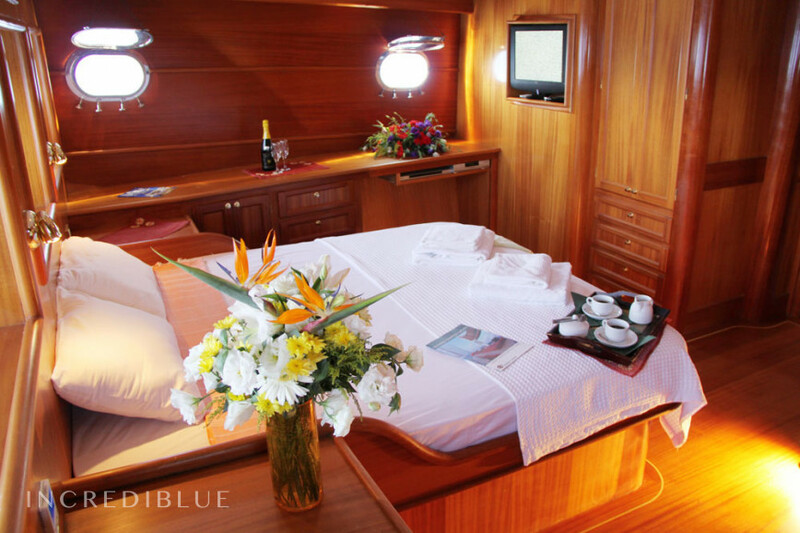 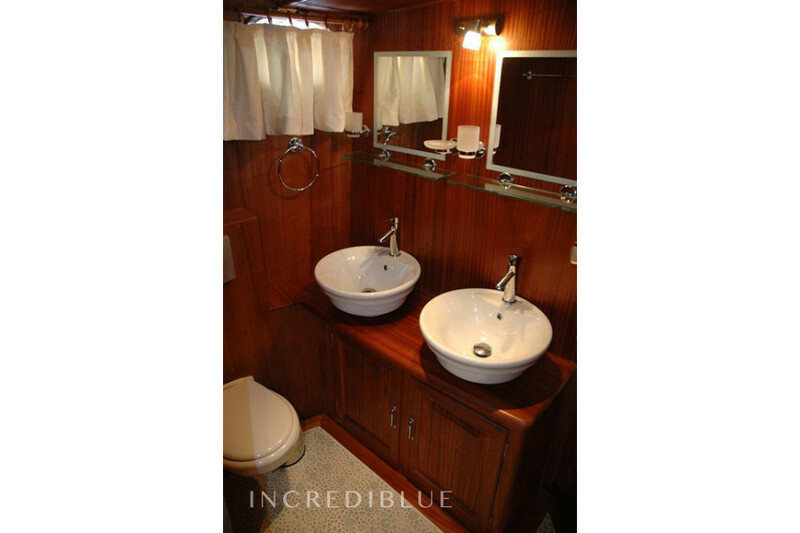 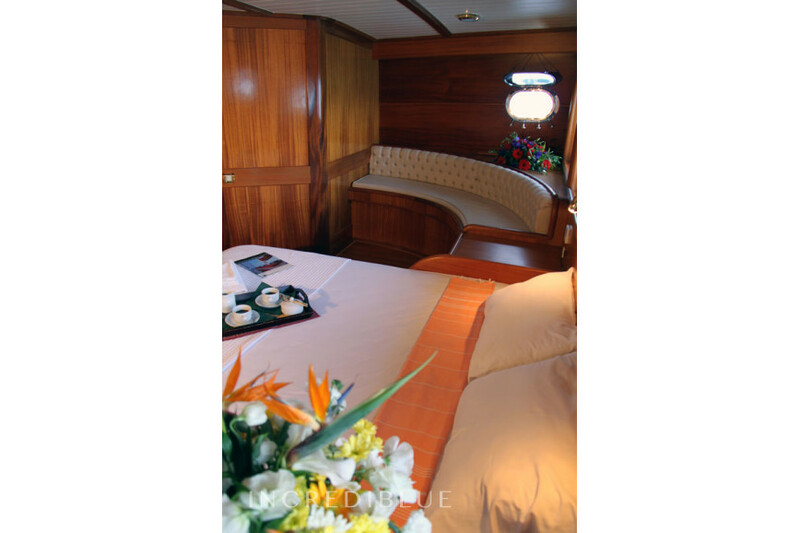 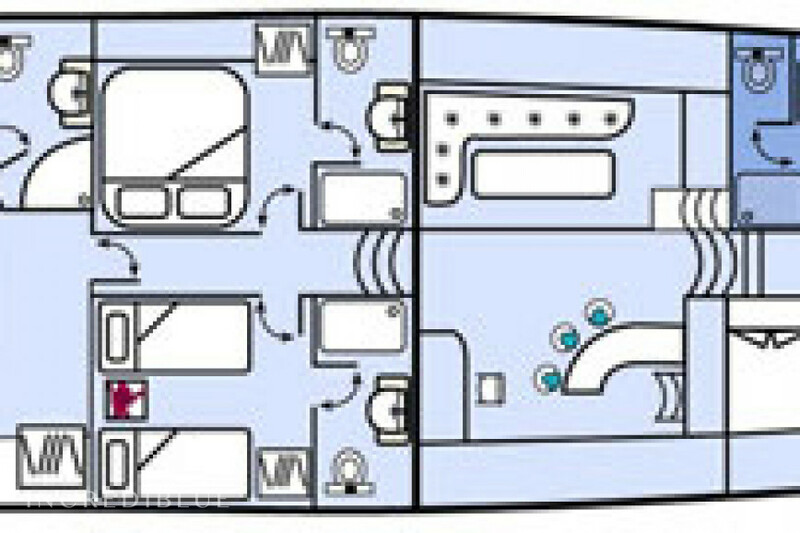 - Master Cabin: double bed, TV, HiFi, bathroom, safe, dressing room and A / C.
- VIP cabin: double bed, TV, HiFi, bathroom, closets and A / C.
- Double cabin: double bed, TV, HiFi, bathroom, armariosy A / C.
- Cabin Twin: 2 single beds, TV, HiFi, bathroom, closets and A / C.